Spinach? You say you wouldn’t be caught dead eating it? 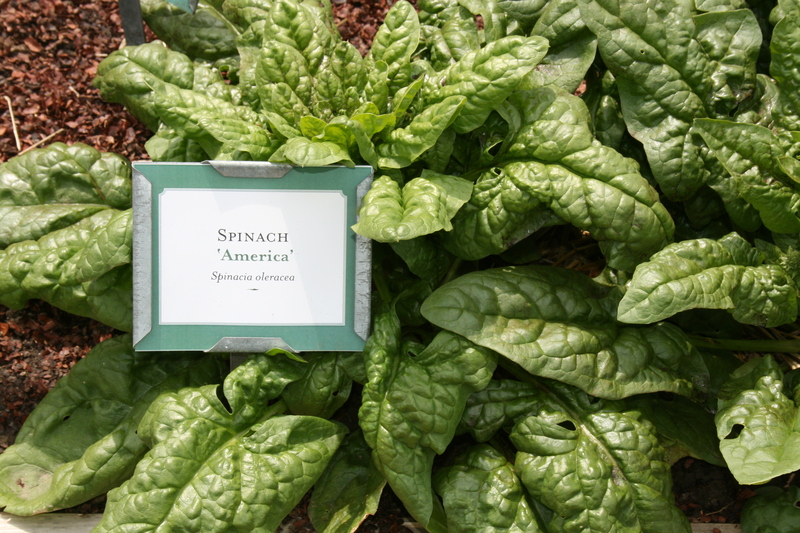 Spinach has come a long way since our mothers tried to get us to eat the stuff out of the can! Of course, their mothers probably got to eat it fresh out of the garden, and unless you’ve tasted it fresh out of the garden, well….you haven’t REALLY tasted spinach. It all started with Larry Cleverley’s early spring pop up market in Des Moines. He tweeted his location, and all of a sudden, I just had to drive down there. You know, you’ve been counting the days until the farmers market opens, and all of a sudden you have the opportunity to get a taste of one a couple of weeks before you expected! I bought a large bag of this spinach, which Larry says had overwintered from last year. I stir-fried it in a little oil, just until it wilted, and then added salt. Oh man, I couldn’t even get it on the plate before I had eaten it half gone! 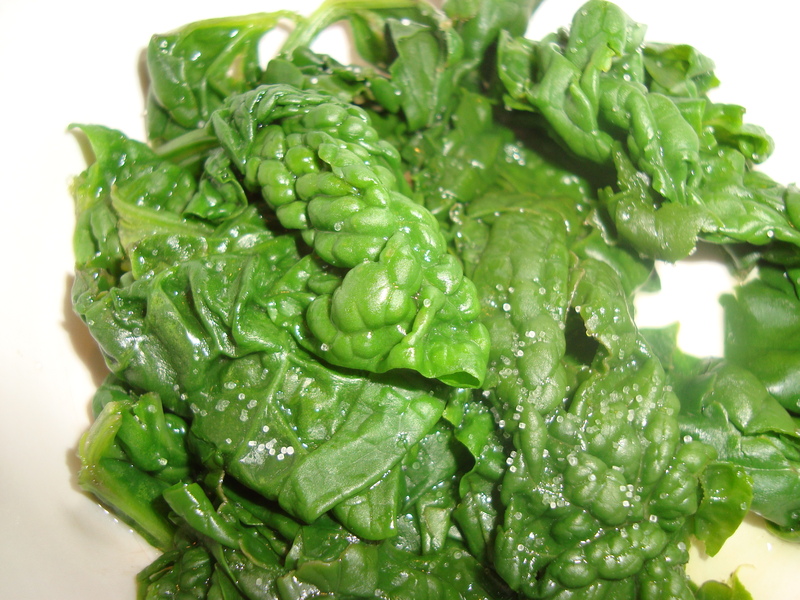 And do you notice how this spinach looks different from the baby spinach leaves you see in the clam shell at the store? It turns out the term for these “wrinkled” leaves is savoyed, as in deep green savoyed leaves. For some reason, the texture of this spinach is so much more appealing to me than the flat clam shell leaves that stick together in a blob. Now the key to eating greens, I’ve found, is not making yourself eat too much of this good thing. Think of your greens almost as a garnish, two or three bite fulls. 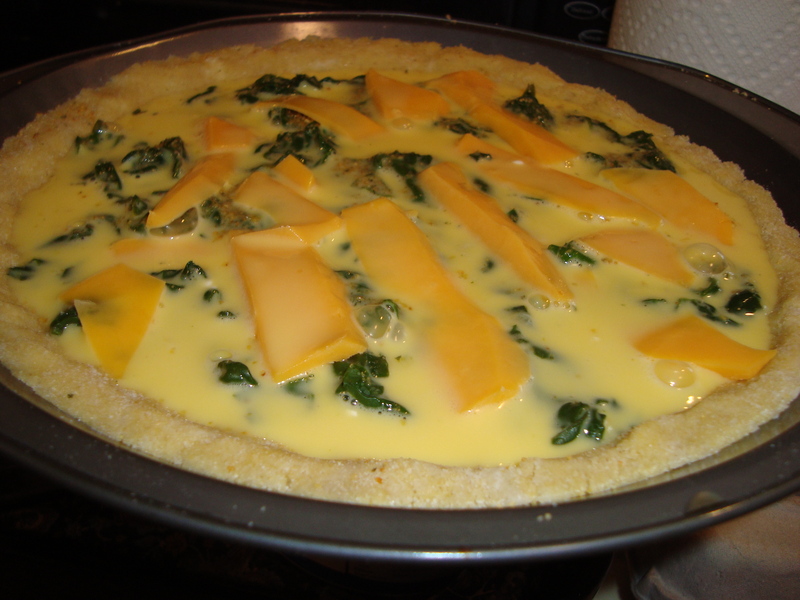 The rest of my bag of green delight went into a quiche. And all of this finally brings me to Seed Savers Exchange and my dream of fall spinach in my own garden. As I was wandering around the Seed Savers demonstration gardens, I saw it…..dark green savoyed leaves! 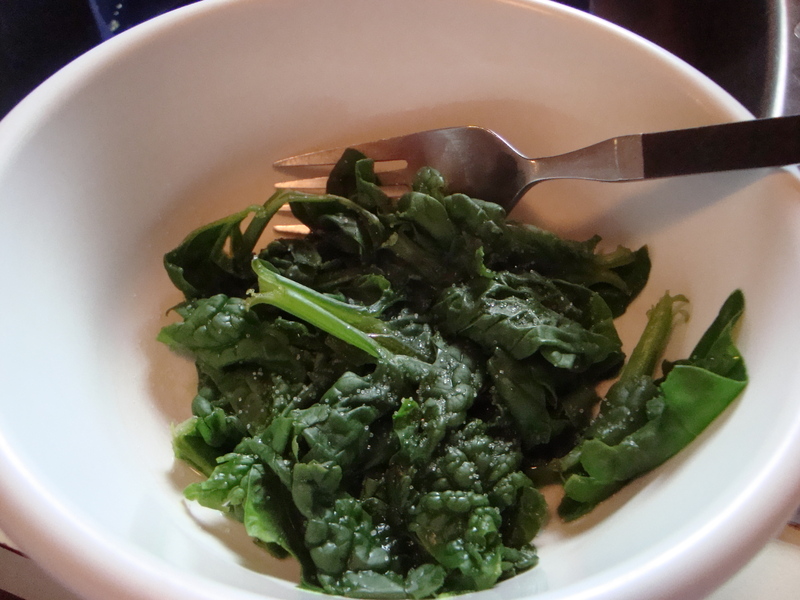 Yes…spinach! The variety is called America. I bought a packet of seeds and dream every night of spinach omelets and wilted spinach with salt and maybe even some crumbled bacon. My only question now is when I should sow it for a fall crop and should I start it under my grow lights or direct sow outdoors. Any ideas fellow gardeners? Actually I loved spinach out of a can as a kid. Ollie called me Popeye. This America spinach looks yummy. Maybe your extension service folks could tell you which way to sow it for a fall crop. I tried growing salad stuff last year, but it seemed bitter.